Hi! It's Monday Makeup Review once again. Let me share my recent favorites, new makeup products that were given to me as a birthday gift and some from the photography makeup session I attended. These makeup products I'm talking about not only come in a pretty packaging, I believe they are also budget-friendly. Aritaum All Day Lasting Primer creates a smooth finish plus it makes your makeup last longer. I bought this from Althea during their 2nd year anniversary sale (read my previous post here). Aritaum Primer comes in a liquid form with very mild scent. I recommend applying the primer with a beauty blender, the same way when you apply a foundation. It contains a whitening ingredients, an anti-wrinkle property and sunblock with SPF 44. Aritaum Primer also makes skin brighter and evens out skin tone. Aritaum All Day Lasting Primer leaves my skin soft and smooth. It remains true to its name that the makeup last the whole day, you just have to re-apply a loose powder when needed. Primer and foundation provides a flawless coverage. I think I found my favorite contour and blush-on palette with Makeup World. This makeup palette comes with 2 shades for contours, 2 shades for blush and shades for highlighting and a bronzer. I love sleek packaging, handy and can be added to your travel makeup essentials. The pink and red shades can also be used as an eye shadow makeup. There's a huge mirror at the back of the cover as well. I like that it's not warm and non-irritating to the skin. With just a few brush from the makeup, you get the amount you need for your face. Althea Korea released its very first product, the Althea Powder. It's made from flower seed extract that helps prevent skin from getting dry. Althea Petal Velvet Powder is a translucent powder that gives an instant smooth finish on the skin. It comes in a small 3g size, I wished Althea would come up with a bigger size. This powder comes in a cute, small packaging with little puff. The size fits any girl's purse and handbag. The powder has a mild floral scent and leaves skin soft and velvety smooth. It's currently available for P210. 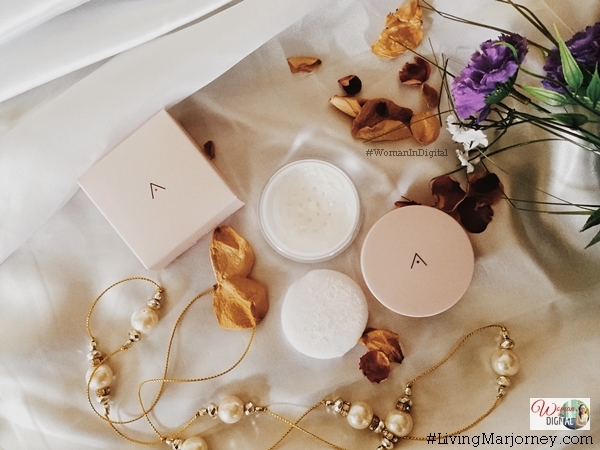 For Aritaum All Day Primer and Althea Petal Velvet Powder, you can get them at Althea Korea, http://www.althea.kr/. 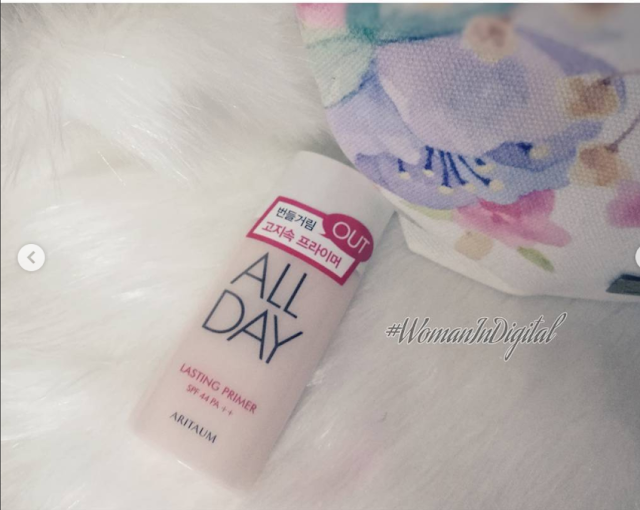 Aritaum All Day Primer retails at P840 but currently on sale at P470 at Althea. You can buy Makeup World Palette at all leading beauty and drug store in the Philippines such as Watsons. There you go, our Monday Makeup Review. Do you have suggested makeup products for review? Have you tried any of the featured items? I missed shopping at Althea!! Will check these new items.